Well yes. And Beethoven’s Ninth is just a load of notes, and the Mona Lisa is just a load of paint. 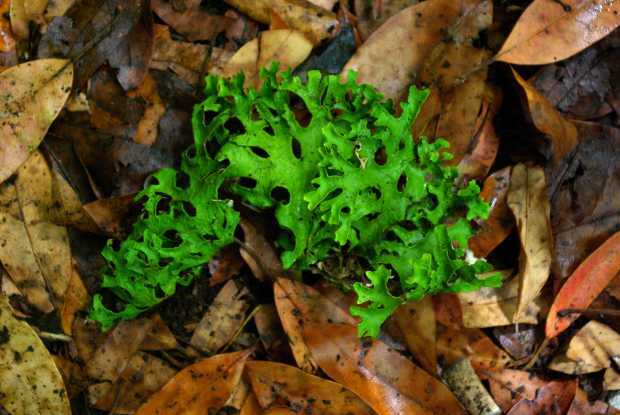 Los Tilos, in San Andres and Los Sauces, is home to one of the best surviving laurel forests in the world. 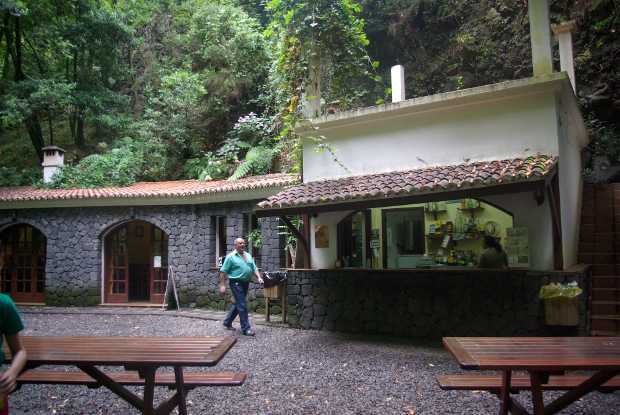 The other one is Garajonay, in La Gomera, which has been damaged by the recent fires, but which is 80% intact. 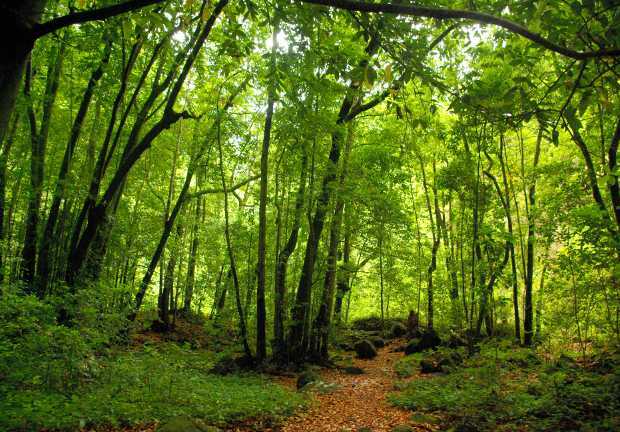 What’s so great about a laurel forest? It’s what the dinosaurs walked through. To be fair, if you can’t tell an oak from a birch, then it’s just a pretty, shady walk. On the other hand, if you’re a professional plant scientist, like my father, you feel like a small kid in a sweet shop, because the place is full of plants that grow nowhere else. My father got too excited to finish his sentences, and it took him twenty minutes to walk a hundred yards. 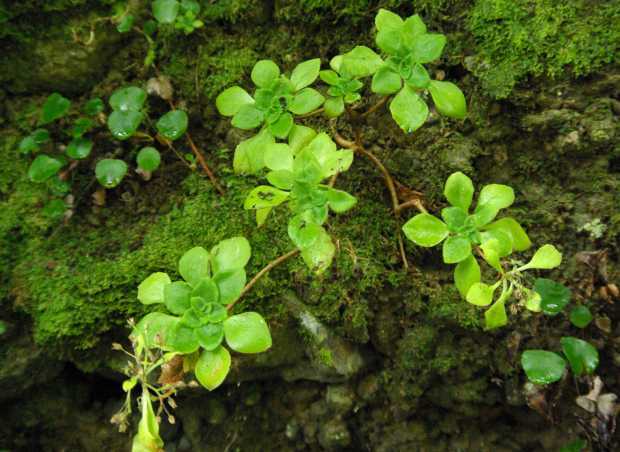 The plants are rare enough that whole place is a World Biosphere Reserve. The original 511 hectares were declared a reserve in 1983, but this wasn’t big enough to do the job properly, so in 1998 it was extended. They didn’t muck about. The new reserve is 13,240 hectares. That’s 5% of the island! There’s also a friendly bar, which is great if you work up a thirst. There are very tame little birds, which I believe are Canary Chaffinches (Fringilla coelebs tintillon). If you know better, please let me know! That’s definitely a chaffinch, a female. 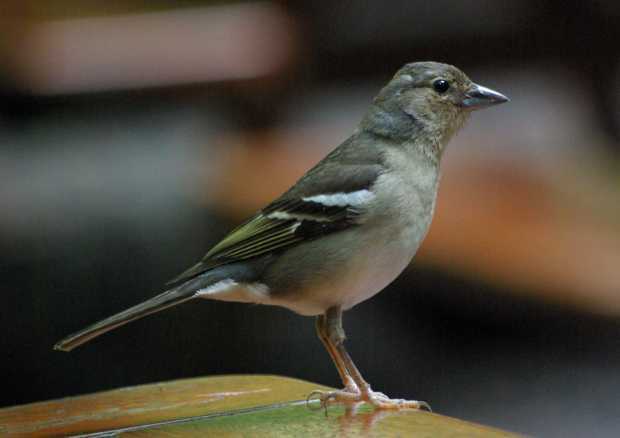 On La Palma you get the subspecies Fringilla coelebs palmae. 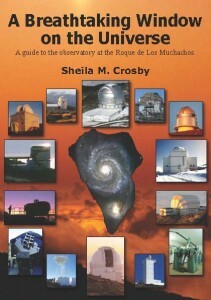 It’s also found on El Hierro. Los Tilos is alright when I went there a couple of years ago. If I had more time I would have hiked in farther from the center, but didn’t. 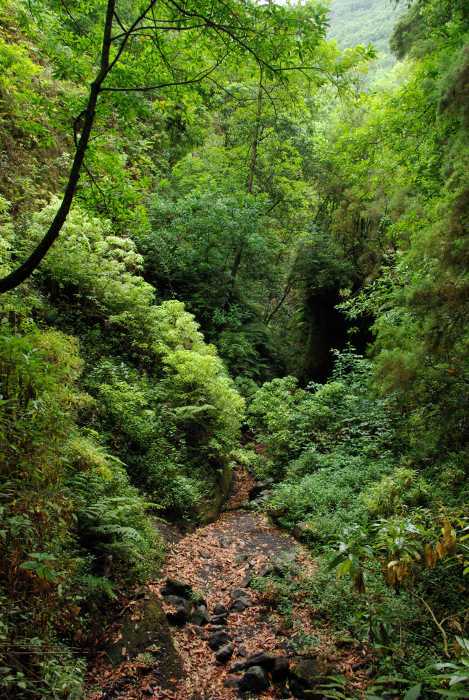 Got much more time soon in La Palma soon…so maybe I will walk around more in that area. and beauty is in the eye of the beholder…many things I used to enjoy, I don’t so much now, if at all, as I have changed on the inside…so in many ways for me…Beethoven’s Fifth and the Mona Lisa…are just a bunch of notes and paint — respectively. It’s as if you were to go to some countries and listen to the music they enjoy (Chinese Opera for me being one)…and thinking…what the heck is that? You should know this as well as anyone with your adventures in stargazing! A featureless black sky to most (Especially in light polluted skies), is to the trained eye in the right place — quite something else…. I used to like walking to the viewpoint at Los Tilos, it is quite a long uphill walk for 90 minutes, at the end you double back up a steep step climb, and then the most wonderful view appears over the steep forested valley with a few wisps of cloud and rocky outcrops. It is very very still and nearly always raining when i go.